Fresh pasta, made daily with farm-fresh ingredients sourced locally. 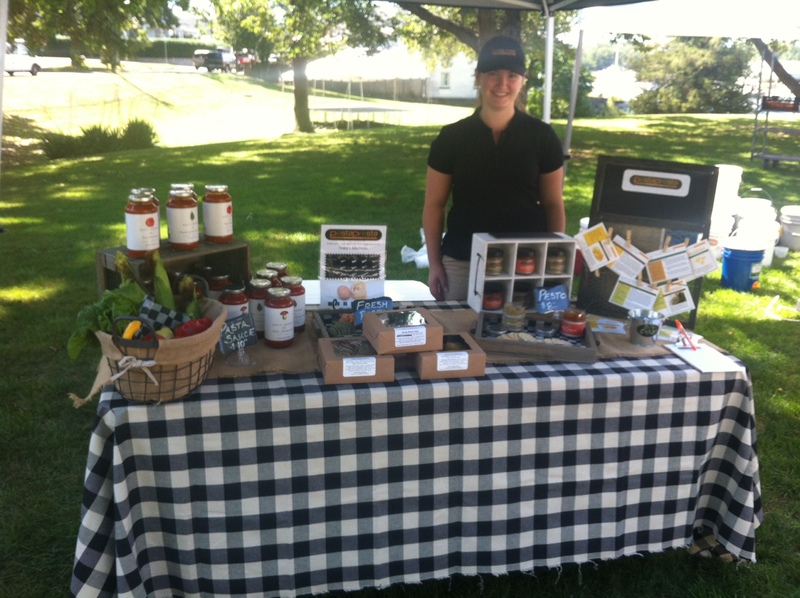 PastaPresta Now at the Rowayton Farmer’s Market! PastaPresta will now be selling our delicious, fresh pasta every Friday from 11 A.M – 5 P.M. at the Rowayton Farmer’s Market! Taste the Flavors of Summer – Yellow Pepper Pasta! There’s nothing like Fresh Basil in the summer! Like many gardeners at this time of year, my neighbor found herself with an abundance of the beautiful green herb, so this week PastaPresta will be offering Farm Fresh Egg pasta salad with golden cherry tomatoes, pine nuts and homemade pesto. Stop by and give it a try. We make our pasta fresh daily on site from ingredients we personally source from local farms… so you know you’re getting a product that is all natural, preservative free and nutrient rich. And this weekend, you’re in for a treat–Roasted Yellow Bell Pepper Pasta. You can have it custom cut into Spaghetti, Linguini, Fettuccine, Pappadella or Lasagna sheets. It’s not only good, but amazingly nutritious. These colorful summer vegetables are filled with fiber, antioxidants and vitamin C. The bright colors from plant pigments are called carotenoids. These pigments act like sunscreen, protecting the ripening peppers from sun damage. As it turns out, those pigments have a similar safeguarding effect on us. 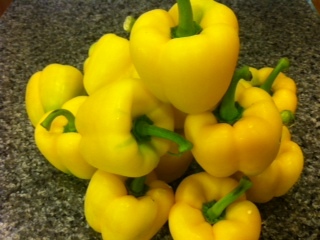 So peppers are an excellent choice during the summer months. 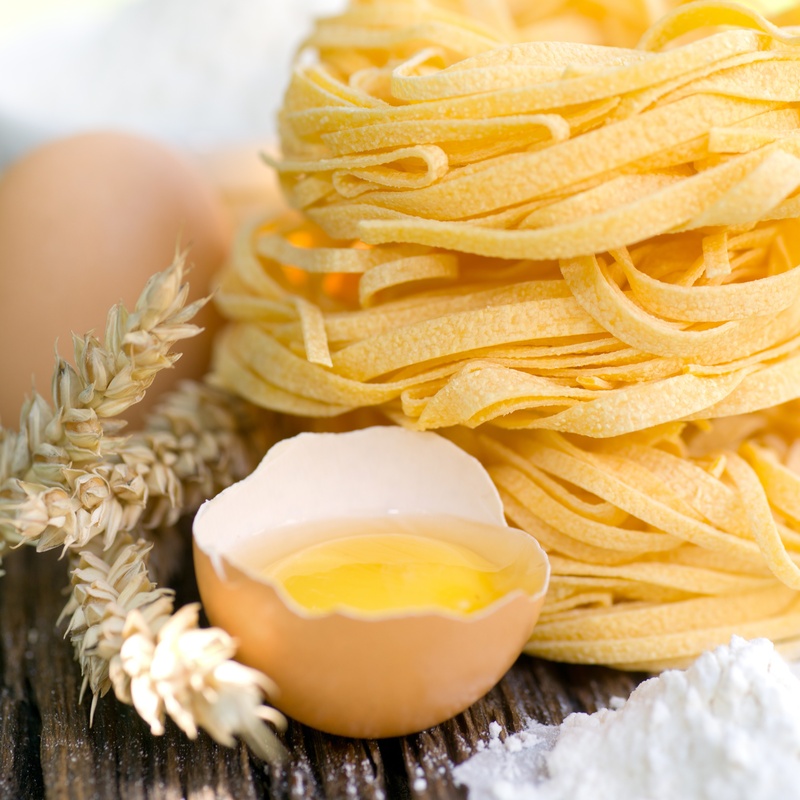 We’ll also have our Farm Fresh Egg, Spinach and Whole Wheat Pasta — so stop in this weekend and pick up the summer’s best flavors for your dinner table! And while you’re in the SoNo Marketplace, enjoy the fabulous music line up this weekend! 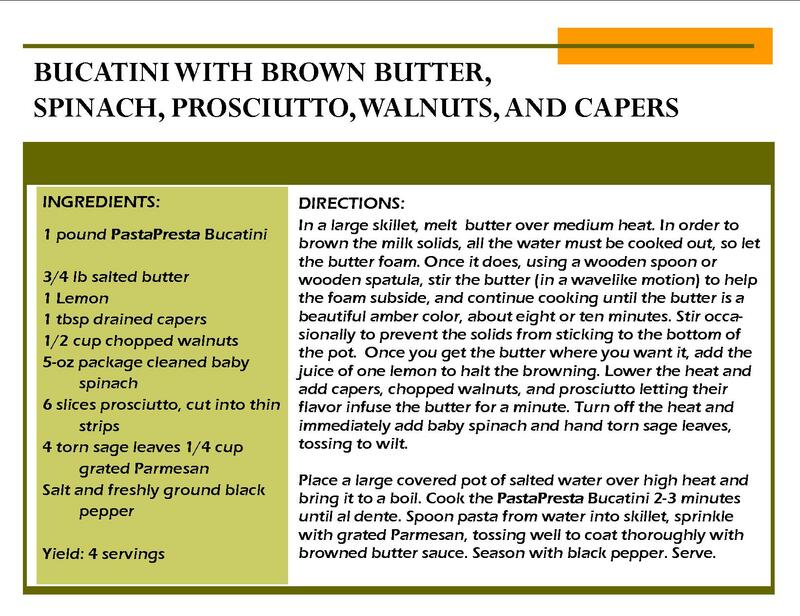 Special recipe for our Bucatini – pick some up today! Come on down to the marketplace today and pick up some spinach bucatini! 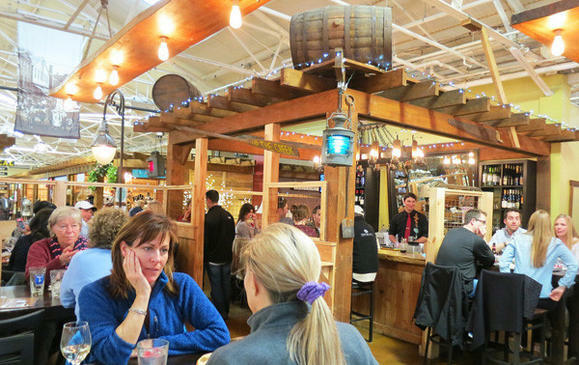 Article on PastaPresta & SoNo Marketplace in the Chicago Tribune! Check out this new article on the SoNo Marketplace & PastaPresta from CT.com!!! Check out the latest interview-based article on PastaPresta from ThatsSoJenn.com !!!! Live Music & Delicious Food All Weekend at the SoNo Marketplace! Come join PastaPresta for some Father’s Day fun with live music and tasty food at the SoNo Marketplace this weekend! PJ Pacifico, Sunday, June 16th, 1:00pm – 3:30 pm. 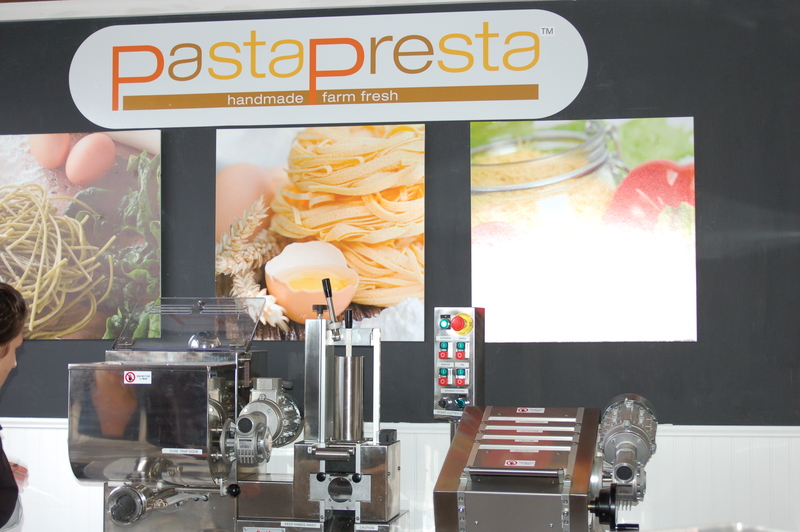 Sign up for the PastaPresta newsletter!